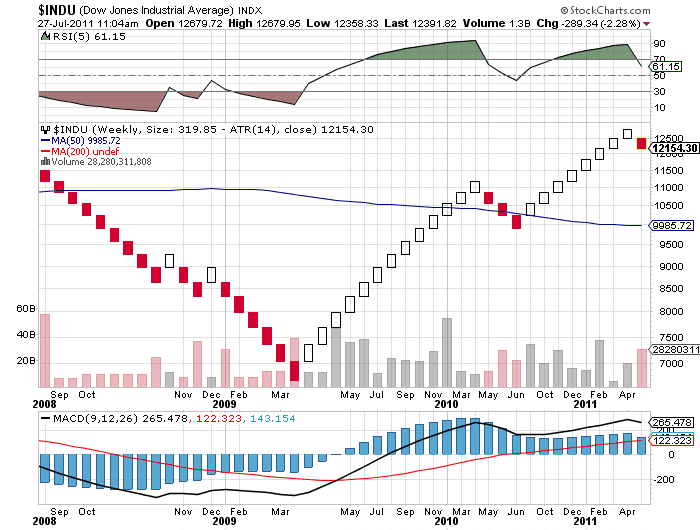 TAKE A LOOK AT THIS CHART BELOW OF THE DOW WHICH IS UPDATED AS OF 11:15AM TODAY. WHY SHOULD YOU BE SCARED YOU MIGHT ASK? if you need your funds to support yourself. What would I do? Run like hell because the odds are stacked against you in a major way. I would go with a safe 2-3% return and count your luck stars you managed to save your capital. If you are afraid of missing out on potential gains in your investments then use 5% of your capital with a leveraged product such as Options, Foreign Exchange Derivative's or Forex to say take a position wherby you would say Sell or Buy The USD against another currency such as the EURUSD, GBPUSD, USDCAN, OR SWISS FRANC (USDCHF). How would you do that you might ask? You would use Technical Analysis to ascertain if say the US DOLLAR (USDCAD) is going up or down vis a vis the Canadian Dollar. Look at the chart below. Mountain effect then you get out because the staircase will start down instead of up. So in effect you are only trading 2 patterns re an up or down staircase. If you try to trade any other patterns you will lose. Something you should know is that the USDCAD trades the opposite direction to the following currencies at any one point in time. So if the USDCAD (THAT IS THE US DOLLAR GAINING ON THE CAN DOLLAR) THEN GBPUSD, USDJPY ,GBPJPY,USDCHF, ETC WILL BE TRADING DOWN ON THE STAIRCASE.